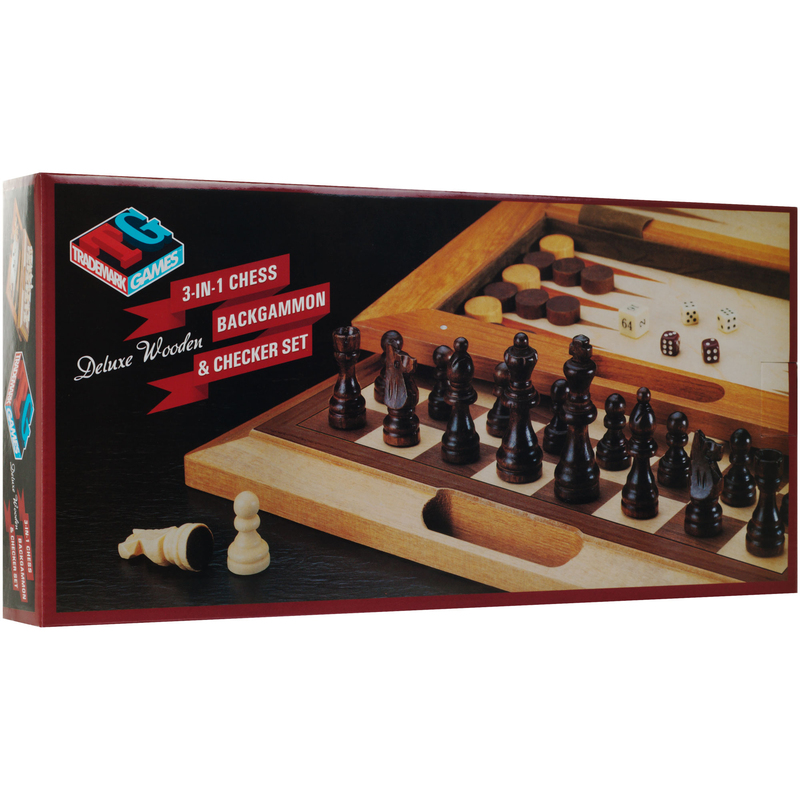 Three classic games all in one convenient box! 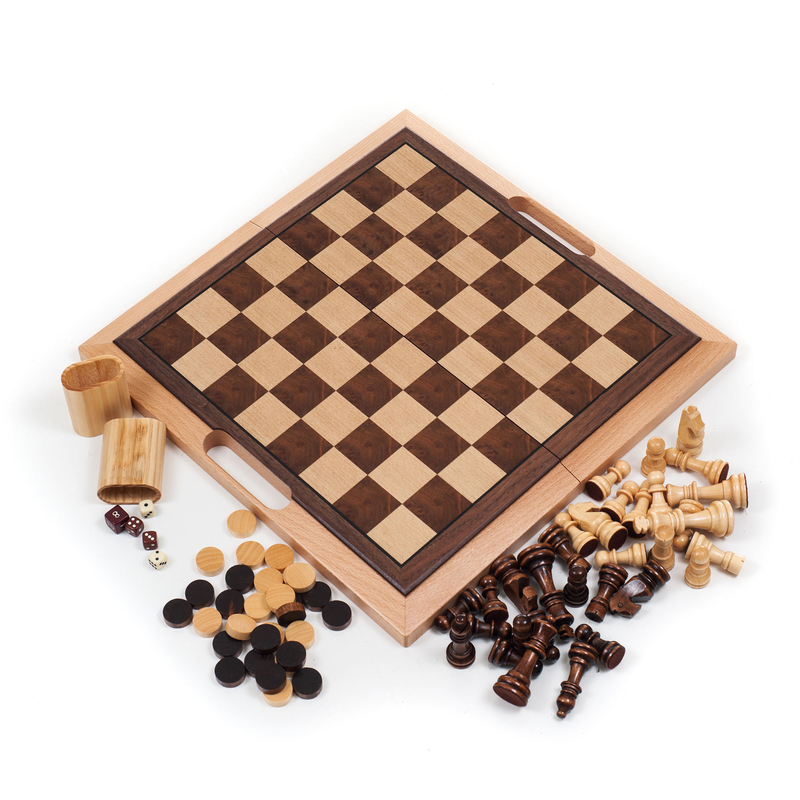 This high quality wood constructed three in one game contains game surfaces and pieces for chess, checkers, and backgammon. 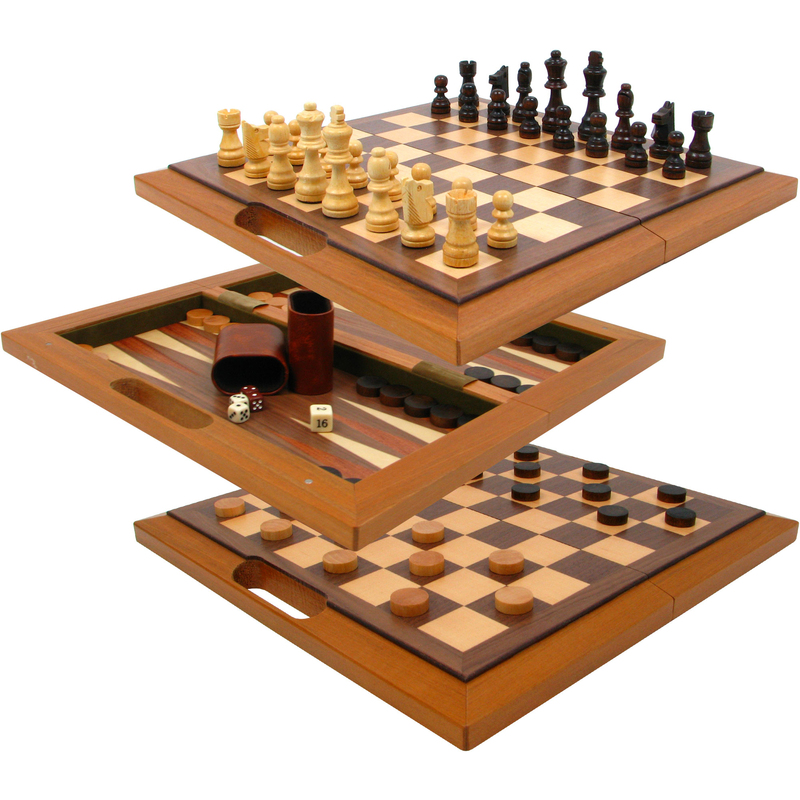 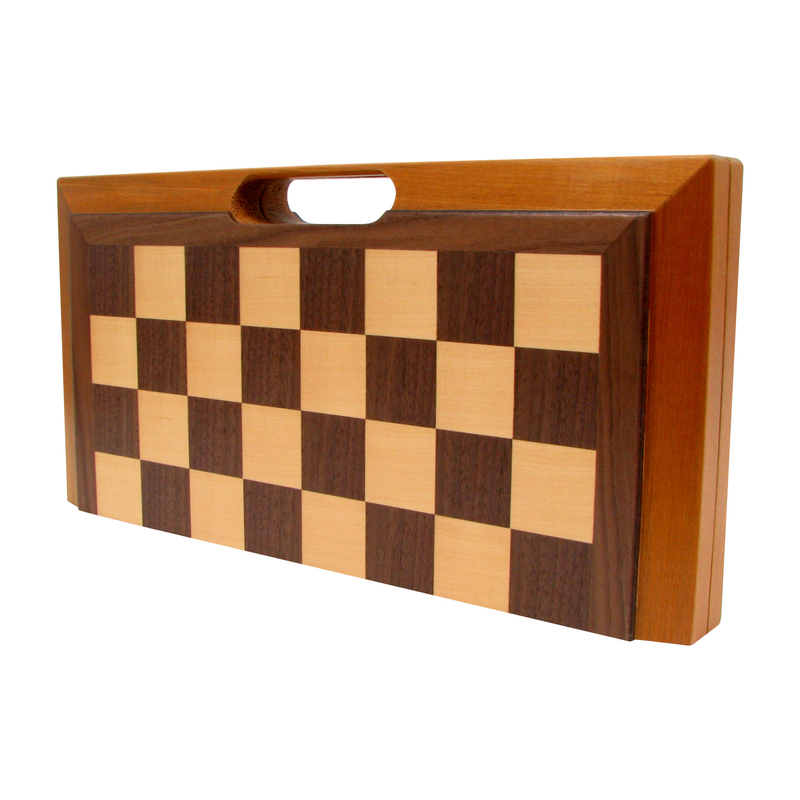 The game board folds in half for easy storage and features a convenient handle for transport.